Local authorities in a central district of Ghana have forbidden girls from crossing a river while menstruating due to a belief that the river god does not like it. The girls now claim to have missed 20 out of 60 days of their school classes because of the ban. 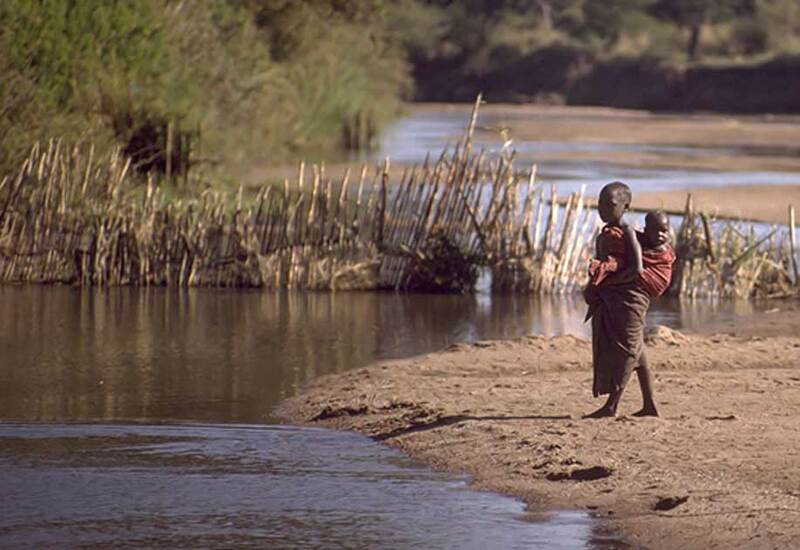 As The Independent reports , traditional leaders have also banned the girls from crossing the river on Tuesdays, which was “seemingly commanded” from a river god. "Sometimes I think that we need to ask for some form of accountability from these gods who continue to bar a lot of things from happening, to account for how they have used the tremendous power that we have given them,” Shamima Muslim Alhassan, Menstrual Hygiene Ambassador (Unisef) told BBC News Pidgin , explaining that it’s religion that stops these girls from receiving a proper education. The United Nations estimates that 10% of all girls in sub-Saharan Africa miss school during their period, which accumulates to a total 20% of school days during the year. In some traditional cultures, a menstruating woman is considered sacred and powerful, with increased abilities, and strong enough to heal the sick. According to the Cherokee, menstrual blood was a source of feminine strength and had the power to destroy enemies. In Ancient Rome, Pliny the Elder wrote that a menstruating woman who uncovers her body can scare away hailstorms, whirlwinds and lightning. If she strips naked and walks around the field, caterpillars, worms and beetles fall off the ears of corn. In other cultures, however, menstruation, and beliefs about menstruation, is one of the biggest reasons why adolescent girls miss school. Poor menstrual management is also the leading cause of infections in women globally. A 2014 study in Nairobi’s Mathare Valley slum found that over 75% of girls had little idea what menstruation was before they got their first period, causing them to feel scared, confused and embarrassed, Femme International reports. Sadly, there are cases that outdated perceptions and practices surrounding menstruation have caused death, “A woman has died in a remote village in Nepal because of a tradition in which women are exiled from their homes and forced to live in huts during menstruation,” government administrator Tul Bahadur Kawcha said via The Independent . The 21-year-old female is thought to have lost her life from inhaling great amounts of smoke from a fire she lit in the hut in order to keep herself warm in the freezing temperatures in the mountain village after she was exiled. “The tradition is still practiced in some remote villages despite a government ban on the practice and a law introduced last year to punish people who force women to follow the custom,” Mr. Kawcha said via The Independent . Apparently, Chhaupadi is a social tradition associated with the menstrual taboo in the western part of Nepal. The tradition prohibits Hindu women from participating in normal family activities while menstruating, as they are considered "impure". The women are kept out of the house and have to live in a cattle shed or a makeshift hut. This period of time lasts between ten and eleven days when an adolescent girl has her first period. Thereafter, the duration is between four and seven days each month. During this time, women are forbidden to touch men or even to enter the courtyard of their own homes. They are barred from consuming milk, yogurt, butter, meat, and other nutritious foods, for fear they will forever mar those goods. The women must survive on a diet of dry foods, salt, and rice. They cannot use warm blankets and are allowed only a small rug; most commonly, this is made of jute (also known as burlap). They are also restricted from going to school or performing daily functions like taking a bath. While exiled in isolation, some women face bitter cold or attacks from wild animals, The Independent reports. Anansi – Deity or Storybook Trickster? Read more about Anansi – Deity or Storybook Trickster?